So, You Want to Watch the Swedish Royal Wedding? Information You Need to Know. On Saturday, June 13, 2015, His Royal Highness Prince Carl Philip of Sweden will finally marry his longtime love, Miss Sofia Hellqvist, inside the magnificent Slottskyrkan (royal chapel) at the Kungliga Slottet in Stockholm. If you are interested in watching the royal wedding Sveriges Television (SVT) will, thankfully, broadcast the entire extravaganza — live online — beginning at 2 P.M. Stockholm time. The broadcast will include pre-wedding ceremony festivities (hence a lot of chit-chatting between the fantastic SVT journalists as well as royal and etiquette experts), the entire royal wedding ceremony, the incredibly long carriage ride through the streets of Stockholm, the glorious gala reception, long speeches, the cutting of the cake, and so forth. For those of you who were fortunate enough to watch the 2010 royal wedding live between HRH Crown Princess Victoria and Mr. Daniel Westling, well, SVT‘s upcoming broadcast of Prince Carl Philip’s wedding is reportedly going to be shown in similar fashion. 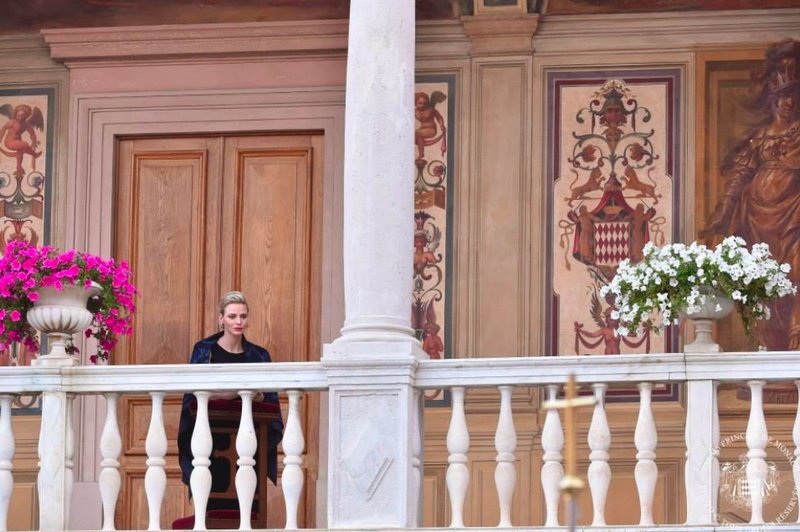 At this time members of the Spanish royal family, the royal house of Jordan, the grand-ducal family of Luxembourg nor the princely family of Monaco have yet to confirm their attendance. Royals from non-reigning houses who may attend the royal wedding include His Highness Prince Andreas of Saxe-Coburg und Gotha, Their Highnesses Hereditary Prince Hubertus and Hereditary Princess Kelly of Saxe-Coburg und Gotha (who is due to give birth to her second child in July), the entire Greek royal family, and perhaps a few royals here and there from Germany, Serbia, Bulgaria, and Romania. Now, if you want to follow the wedding with other royal watchers via Twitter and/or Instagram the official hashtags will be #kungaligbröllop2015 and #royalwedding2015. To wrap things up the entire royal wedding will be broadcast live on SVT beginning at 2 P.M. Stockholm time. Please click here and/or here for the direct SVT link. Bookmark them. Furthermore, SVT is known to be a quite generous network so if you missed the royal wedding live there is a good chance the network will re-broadcast the event and keep it on their site for several days. Basically, if you missed royal wedding I’m sure it will be online for some time. If not, I’m sure someone will upload the whole wedding onto You Tube. Need a timezone convertor? Click here to find out when the royal wedding will air in your local timezone (probably in the wee hours of the morning). And, finally, if you would like to watch a pre-wedding interview on Friday, June 12 with the happy couple and hosted by the lovely Miss Ebba von Sydow then please click here and bookmark the link. (VIDEO) Her Majesty Queen Margrethe II of Denmark Celebrates the 100th Anniversary of the Amendment of the Danish Constitution. On Friday, June 5, 2015, Her Majesty Queen Margrethe II of Denmark accompanied by Their Royal Highnesses Crown Prince Frederik and Crown Princess Mary of Denmark, Her Royal Highness Princess Benedikte of Denmark, Their Royal Highnesses Prince Joachim and Princess Marie of Denmark celebrated the 100th anniversary of the amendment of the Danish Constitution at Christiansborg Slot in Copenhagen. “…on the 5th of June 1915 gave Danish women the right to vote and stand for election. Though much has happened since 1915, and large steps have been taken in regards to equality between women and men, the debate on equality, democracy and democratic participation is as important and current as ever. The debate today is not only about the right to vote and securing democratic rights, it is also about everyday life – work, spare time, and family. For more information about today’s celebrations, in English, please click here. (VIDEOS) TIMs Emperor Akihito and Empress Michiko of Japan Hold a Farewell Audience. On Friday, June 5, 2015, Their Imperial Majesties Emperor Akihito and Empress Michiko of Japan held a farewell audience with the President of the Philippines, Mr. Benigno Aquino, at the Imperial Palace in Tokyo. During President Aquino’s four-day state visit to Japan he received Japan’s highest honor, the Grand Cordon of the Supreme Order of the Chrysanthemum, from Emperor Akihito. 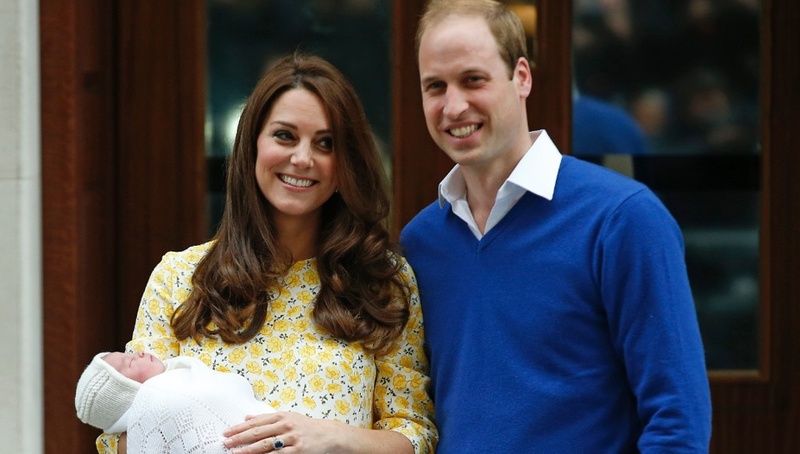 HRH Princess Charlotte of Cambridge to be Christened Next Month. On Friday, June 5, 2015, Kensington Palace announced that Her Royal Highness Princess Charlotte of Cambridge will be christened on Sunday, July 5, 2015, at the St. Mary Magdalene Church, Sandringham. The christening will be conducted by The Archbishop of Canterbury, the Most Reverend Justin Welby. The only daughter of TRHs The Duke and Duchess of Cambridge was born last month — May 2 — at St. Mary’s Hospital, Paddington, London. 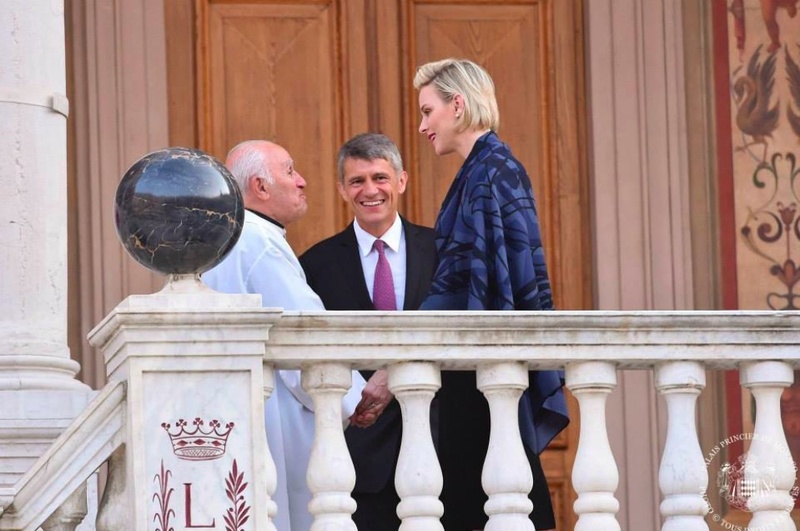 On Thursday, June 4, 2015, Her Serene Highness Princess Charlene of Monaco witnessed the procession of the Pénitents de la Vénérable Archiconfrérie de la Miséricorde (Venerable Brotherhood of Mercy) into the Palais Princier courtyard after Mass at the Cathédrale de Monaco celebrating Corpus Domini Fête Dieu: Solemnity of the Blessed Sacrament. 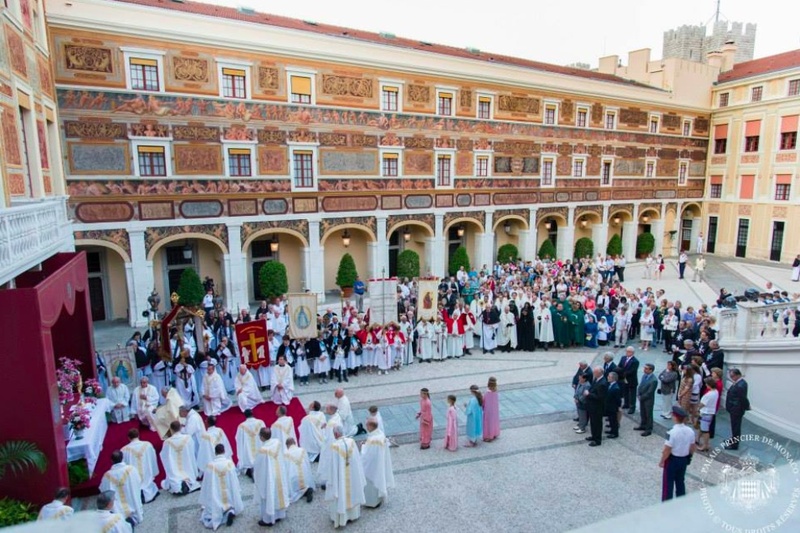 After the blessing of the alter in Palais Prinicer courtyard the procession made their way into the Chapelle Palatine led by Archbisop Bernard Barsi.